Vienna.pm launched the website for YAPC::Europe 2007. Regular attendance will cost 100 Euro, and 80 Euros for students. Early birds will only pay 80 Euros (until 31st March 2007). There is also a voluntary business/sponsor tariff with 200 Euros, which is an easy way to sponsor YAPC::Europe 2007 and Perl in general. 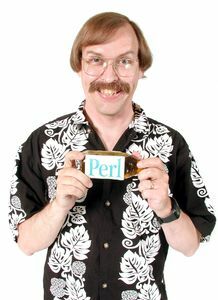 You will not only get three days packed with interesting talks and people, but also a goodie bag, a conference t-shirt, an invitation to the attendees dinner and the unique oppertunity to see renowned members of the Perl community with orange mohawks.